Clinically diagnosed depression is the most common mental illness, affecting over 6% of the population. Major depression can be quite debilitating. Depression can be difficult to treat and is usually treated with anti-depressive medication. But, of patients treated initially with drugs only about a third attained remission of the depression. After repeated and varied treatments including drugs, therapy, exercise etc. only about two thirds of patients attained remission. But drugs often have troubling side effects and can lose effectiveness over time. In addition, many patients who achieve remission have relapses and recurrences of the depression. 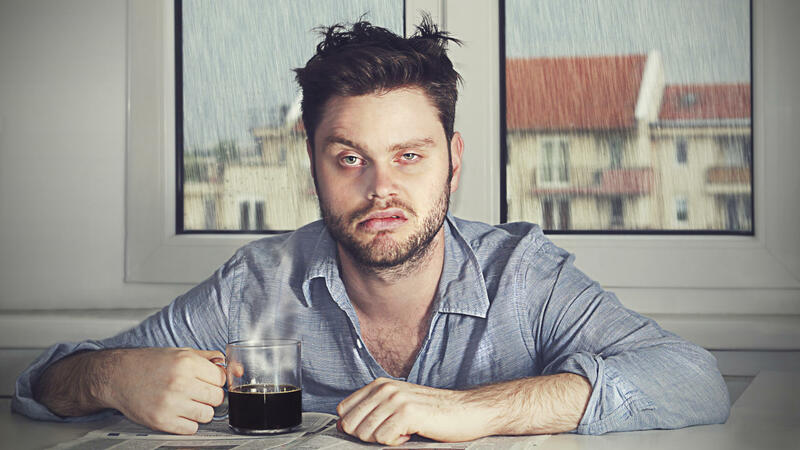 Even after remission some symptoms of depression may still be present (residual symptoms). Being depressed and not responding to treatment or relapsing is a terribly difficult situation. The patients are suffering and nothing appears to work to relieve their intense depression. Suicide becomes a real possibility. So, it is imperative that other treatments be identified that can relieve the suffering. Mindfulness training is an alternative treatment for depression. It has been shown to be an effective treatment for depression and its recurrence and even in the cases where drugs fail. The most commonly used mindfulness technique for the treatment of depression is Mindfulness-Based Cognitive Therapy (MBCT). MBCT was developed specifically to treat depression. It involves mindfulness training, containing sitting and walking meditation and body scan, and cognitive therapy to alter how the patient relates to the thought processes that often underlie and exacerbate psychological symptoms. MBCT has been shown to be as effective as antidepressant drugs in relieving the symptoms of depression and preventing depression reoccurrence and relapse. In addition, it appears to be effective as either a supplement to or a replacement for these drugs. In today’s Research News article “Mindfulness-based cognitive therapy for patients with chronic, treatment-resistant depression: A pragmatic randomized controlled trial.” (See summary below or view the full text of the study at: https://www.ncbi.nlm.nih.gov/pmc/articles/PMC6175087/ ), Cladder-Micus and colleagues recruited adult patients with current depression who had failed to respond to antidepressant drug treatment. All participants continued with treatment as usual including antidepressant medication, psychological treatment, support by a psychiatric nurse, or day‐hospital treatment. Half of the participants were randomly assigned to receive 8 weeks, 2,5 hour once a week, of group based Mindfulness-Based Cognitive Therapy (MBCT). They were measured before and after treatment and 3 and 6 months later for depressive symptoms, remission, rumination, quality of life, mindfulness, and self-compassion. 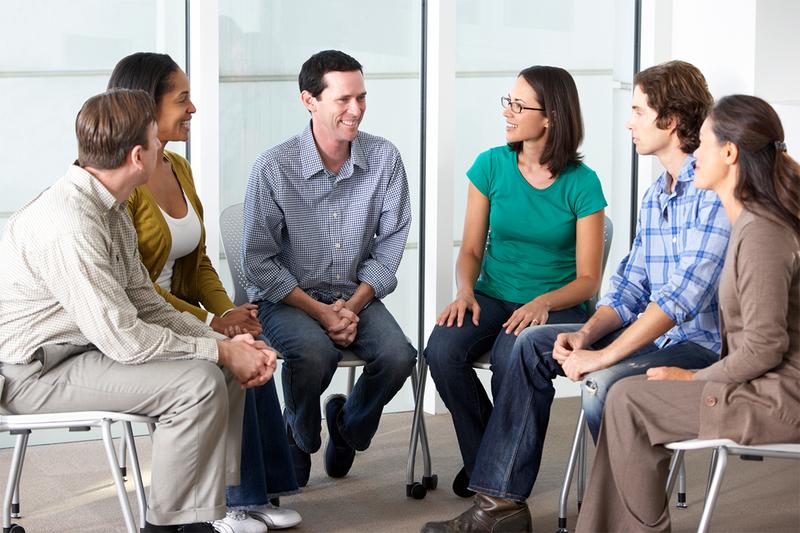 They found that the addition of Mindfulness-Based Cognitive Therapy (MBCT) to treatment as usual resulted in decreased depressive symptoms which was significant only for participants who completed the program. There was a 42% remission rate for the MBCT group that was significantly better than the 22% rate in the treatment as usual group. The MBCT group also had significantly improved mindfulness and self-compassion. So, reduce treatment-resistant depression with mindfulness. Cladder-Micus, M. B., Speckens, A., Vrijsen, J. N., T Donders, A. R., Becker, E. S., & Spijker, J. (2018). Mindfulness-based cognitive therapy for patients with chronic, treatment-resistant depression: A pragmatic randomized controlled trial. Depression and anxiety, 35(10), 914-924. Chronic and treatment‐resistant depressions pose serious problems in mental health care. Mindfulness‐based cognitive therapy (MBCT) is an effective treatment for remitted and currently depressed patients. It is, however, unknown whether MBCT is effective for chronic, treatment‐resistant depressed patients. A pragmatic, multicenter, randomized‐controlled trial was conducted comparing treatment‐as‐usual (TAU) with MBCT + TAU in 106 chronically depressed outpatients who previously received pharmacotherapy (≥4 weeks) and psychological treatment (≥10 sessions). Based on the intention‐to‐treat (ITT) analysis, participants in the MBCT + TAU condition did not have significantly fewer depressive symptoms than those in the TAU condition (–3.23 [–6.99 to 0.54], d = 0.35, P = 0.09) at posttreatment. However, compared to TAU, the MBCT + TAU group reported significantly higher remission rates (χ 2(2) = 4.25, φ = 0.22, P = 0.04), lower levels of rumination (–3.85 [–7.55 to –0.15], d = 0.39, P = 0.04), a higher quality of life (4.42 [0.03–8.81], d = 0.42, P = 0.048), more mindfulness skills (11.25 [6.09–16.40], d = 0.73, P < 0.001), and more self‐compassion (2.91 [1.17–4.65], d = 0.64, P = 0.001). The percentage of non‐completers in the MBCT + TAU condition was relatively high (n = 12, 24.5%). Per‐protocol analyses revealed that those who completed MBCT + TAU had significantly fewer depressive symptoms at posttreatment compared to participants receiving TAU (–4.24 [–8.38 to –0.11], d = 0.45, P = 0.04). Although the ITT analysis did not reveal a significant reduction in depressive symptoms of MBCT + TAU over TAU, MBCT + TAU seems to have beneficial effects for chronic, treatment‐resistant depressed patients in terms of remission rates, rumination, quality of life, mindfulness skills, and self‐compassion. Additionally, patients who completed MBCT showed significant reductions in depressive symptoms. Reasons for non‐completion should be further investigated. Preventing burnout has to be a priority. 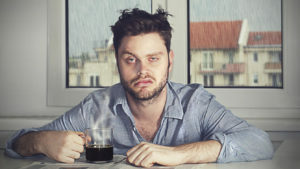 Unfortunately, it is beyond the ability of the individual to change the environment to reduce stress and prevent burnout, so it is important that methods be found to reduce the individual’s responses to stress; to make the individual more resilient when high levels of stress occur. Contemplative practices have been shown to reduce the psychological and physiological responses to stress. Indeed, mindfulness has been shown to be helpful in treating and preventing burnout, increasing resilience, and improving sleep. Hence, mindfulness may be a means to improve the self-compassion and happiness of healthcare workers and thereby reduce burnout. In today’s Research News article “Compassion, Mindfulness, and the Happiness of Healthcare Workers.” (See summary below or view the full text of the study at: https://www.ncbi.nlm.nih.gov/pmc/articles/PMC5598781/ ), Benzo and colleagues recruited adult healthcare workers and had them complete measures of mindfulness, self-compassion, happiness, relationship status, exercise, perceived stress, and spiritual practice. The data underwent a regression analysis to determine the relationship between the measures. They found that the higher the levels of exercise and self-compassion, the greater the levels of happiness and the lower the levels of perceived stress. In addition, they found that the higher the levels of coping with isolation and mindfulness the higher the levels of happiness. The association of mindfulness with happiness occurred for the mindfulness component of self-compassion and both the non-judgmental awareness and non-reactivity to emotions. These results suggest that mindfulness and self-compassion are very important for the happiness of healthcare workers. The most important components of self-compassion appear to be mindfulness and the ability to cope with isolation that is a frequent occurrence with healthcare workers. 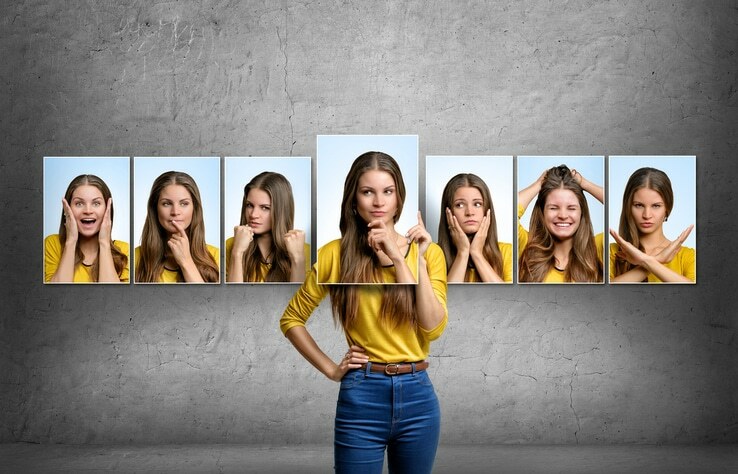 Being mindfully aware of themselves, non-judgmentally appears to be crucial for happiness of workers this high stress occupation. Although these results are correlational and causation cannot be determined, prior research has demonstrated that mindfulness training works to improve well-being and reduce burnout, reduce perceived stress, and also increases self-compassion. So, the present results likely reflect an underlying causal connection between mindfulness and the happiness of healthcare workers. This further suggests that mindfulness and self-compassion training should be included in the initial training or continuing education of healthcare workers. 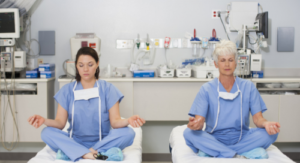 So, improve the happiness of healthcare workers with mindfulness. Benzo, R. P., Kirsch, J. L., & Nelson, C. (2017). Compassion, Mindfulness, and the Happiness of Healthcare Workers. Explore (New York, N.Y.), 13(3), 201-206. Decreased well-being of health care workers expressed as stress and decreased job satisfaction influences patient safety and satisfaction and cost containment. Self-compassion has garnered recent attention due to its positive association with wellbeing and happiness. Discovering novel pathways to increase the well-being of health care workers is essential. This study sought to explore the influence of self-compassion on employee happiness in health care professionals. 400 participants (mean age 45 ± 14, 65% female) health care workers at a large teaching hospital were randomly asked to complete questionnaires assessing their levels of happiness and self-compassion, life conditions and habits. Participants completed the Happiness Scale and Self-Compassion Scales, the Five Facet Mindfulness Questionnaire as well as variables associated with wellbeing: relationship status, the number of hours spent exercising a week, attendance at a wellness facility and engagement in a regular spiritual practice. Self-compassion was significantly and independently associated with perceived happiness explaining 39% of its variance after adjusting for age, marital status, gender, time spent exercising and attendance to an exercise facility. Two specific subdomains of self-compassion from the instrument used, coping with isolation and mindfulness, accounted for 95% of the self-compassion effect on happiness. Self-compassion is meaningfully and independently associated with happiness and well-being in health care professionals. Our results may have practical implications by providing specific self-compassion components to be targeted in future programs aimed at enhancing wellbeing in health care professionals. The end of December marks transitions. It marks the new year, transition from 2017 to 2018. It’s also the time of the winter solstice, the shortest day of the year, transitioning from shortening days to lengthening days. Since the beginning of recorded history, the solstice has been a time of celebration and merriment. For most of that time it was an extremely popular pagan celebration. The Christians tried to suppress it, but were unsuccessful. So, instead they coopted it, turning it into a celebration of Jesus’ birth. There are no records of the actual date of Jesus’ birth, so any day could be chosen, and the time of the pagan solstice celebration was perfect. There are still many remnants of that pagan celebration carried into the Christmas celebration, including the tree, wreaths, mistletoe, holly, and even the name yule, the yule log, and the use of the word “jolly”. Regardless of the purported reason, the end of December is a time of celebration. We now look on it as a time for giving, but the gifts are a relatively new addition that has been enthusiastically promoted by merchants. Should we be jaundiced about the celebration because of it’s confusing history, its crass commercialism, and varied religious meanings or should we participate with enthusiasm? Mindfulness tells us not to judge, just to experience what life has to offer in the moment. The holiday season has much to offer us. So, mindfulness would suggest that we don’t judge or criticize but engage mindfully in whatever way is appropriate for us. Perhaps the greatest gift we can give to our family and friends at any time but especially during the holidays is our presence, not just our physical presence but our mindful attentive presence. We give to them when we deeply listen. So many conversations are superficial. So, engaging deeply with others is a special gift. It involves employing an underused skill of true listening with full attention to another, not listening on the surface while composing the next communication, but just listening with mindfulness. We in effect give to them our most precious gift, our fully engaged selves. We may be surprised by what we now hear that we may have been missing for years, and what reactions occur. Just know that you’re giving what most people need most, to feel listened to, respected, valued and cared about. The holidays are a time to focus on children. Here, also, mindfulness can improve the experience. If we mindfully observe and truly listen, we can see that what children desire most is our attention and love. Presents of toys and gadgets are opened with enthusiasm and glee. But the joy is short-lived. As with most things the happiness produced is fleeting. But, if you engage with the child, playing and giving your full attention to him/her the happiness is much more enduring. Doing this mindfully, without expectations or judgment will bring a joy and happiness to you that will also be enduring. Don’t engage with the child for personal gain, but enjoy the gain when it happens. The holidays are also a time of revelry, with abundant parties and celebrations at work, with friends, and with family. Once again, engaging mindfully can improve the experience and help prevent excess. Being mindful can help us keep alcohol intake under control. By being aware of our state in the present moment we are better able to know when we reached our limit and especially, to know when to refrain from driving. Mindful eating can also help us enjoy all of the wonderful foods presented during the holidays while being aware of our actual physical state. It can help us to eat slowly, savoring the exquisite flavors, without overindulging. Engage socially mindfully without judging and you’ll enjoy the interactions all the more. Mindfulness can also help with holiday depression. Because of the high expectations of what the holidays should be like in contrast to the experienced reality, many people get depressed. It is the time of the highest suicide rates of the year. Mindfulness is known to combat depression in ourselves. But, for the holidays we could use our mindfulness skills, particularly listening, to help vulnerable people deal with the holidays. Our compassion and loving kindness can go a long way toward helping people overcome negative mood states. Just a genuine smile can sometimes be a great mood enhancer. Mindfully give of yourself, without expectation of getting anything back. You’ll be amazed at how much good it does for others and at the benefit you will receive. Finally, the underlying theme of the holidays is transformation and renewal. Just as the slow decent into the short days of winter ends the slow ascent to the long days of summer begins. We can use this time to begin to transform and renew ourselves. New year’s resolutions are a common tradition in this regard but few are entered into with sufficient dedication and energy to actually carry them out. 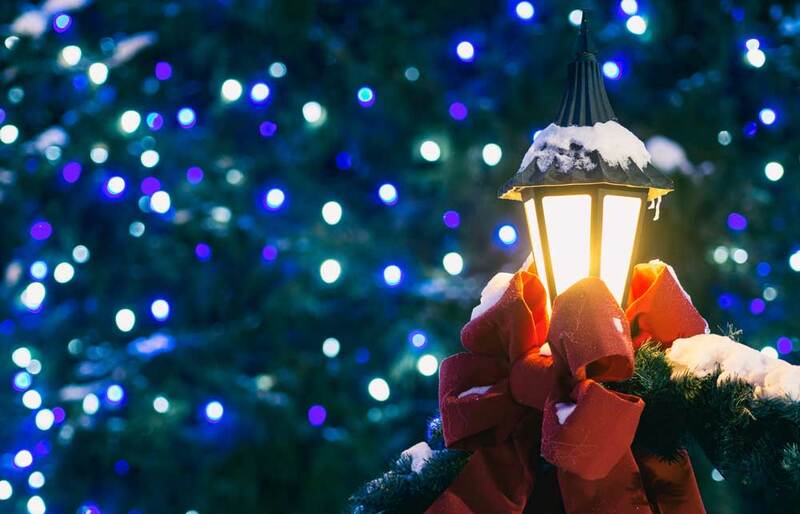 We should use this holiday season to reflect mindfully on our own lives, looking deeply at what will truly help us to thrive physically, emotionally, socially, and spiritually in the coming year. Then set realistic goals and concrete plans to fulfill them. A good one that can help to lead us to a more fulfilling life is to simply make a commitment to be more mindful in the coming year. This should include a plan for engaging in regular practice and working to transfer mindfulness skills obtained outside of the practice. But, be realistic as to what can actually be accomplished and then set a firm concrete plan to achieve it. So, enhance the enjoyment of the holidays with mindfulness. In the U.S. there are a large number of people who assert that there’s currently a war on Christmas. This has been brought about by a movement to use faith neutral terms for greetings and well wishes during the end of December season. So, rather than say “Merry Christmas” they say “Happy Holidays.” The accusation is that this is political correctness gone awry. It removes the meaning from Christmas and is an assault on religious freedom. In a broader sense, it’s an accusation that political correctness in general is distasteful and demeans the culture and damages freedom of speech and religion. There is a meme used on the internet and on bumper stickers that “Jesus, is the reason for the season. But that is only true for Christians. In fact, the season’s celebration has a long history. 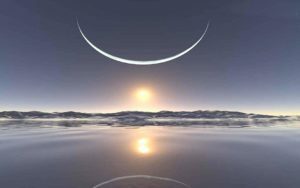 The end of December is the time of the winter solstice, the shortest day of the year, transitioning from shortening days to lengthening days. 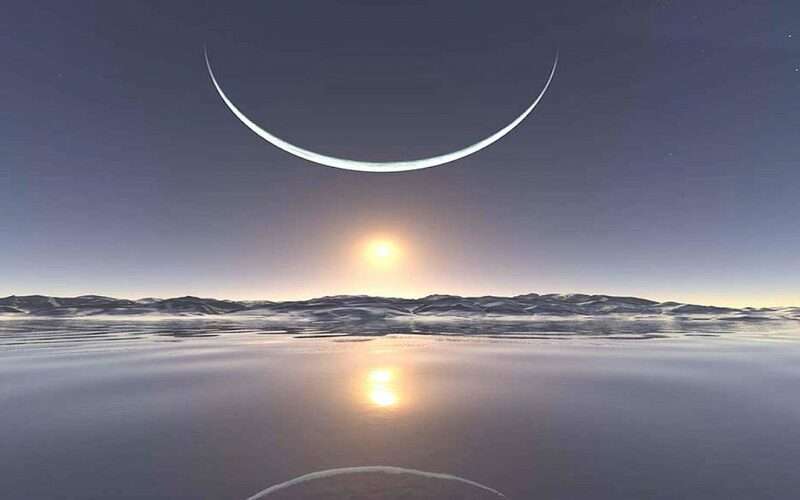 Since the beginning of recorded history, the solstice has been a time of celebration and merriment. For most of that time it was an extremely popular pagan celebration. The Christians tried to suppress it but, because of its popularity, were unsuccessful. So, instead they coopted it, turning it into a celebration of Jesus’ birth. There are no records of the actual date of Jesus’ birth, so any day could be chosen, and the time of the pagan solstice celebration was perfect. The so-called Christmas celebration actually maintains many remnants of the pagan celebration, including the tree, wreaths, mistletoe, holly, the name yule, the yule log, and even the use of the word “jolly”. So, what is the correct designation for the time of year. That depends upon your perspective. If you’re Christian, then Christmas is the appropriate term; if you’re pagan, then Yule is it; if you’re Jewish then it’s Hanukkah; if you’re Buddhist then it’s Bodhi Day; if your Muslim it’s Id al-Adha (the Day of Sacrifice); if you’re Native American it’s Soyal; if you’re Japanese it’s Omisoka; and if you’re African it’s Kwanza. So, what is the correct term. Well, obviously, it depends on who you’re talking to. But in every case late December is a time for a holiday. So, wishing someone “Happy Holidays” will almost inevitably get it right no matter who you’re addressing. But, if you know the individual’s holiday of choice then the specific wish is appropriate. If they’re Christian then a “Merry Christmas” is called; if Jewish “Happy Hanukkah”; etc. Applying mindfulness to this discussion we can look to the fundamental teaching of the Buddha of “Right Action.” He taught that an action, of itself, is neither good nor bad, rather that the rightness or the wrongness of an action is determined by its effects. If the action produces greater harmony, happiness, wisdom, and well-being, and relieves suffering then it is considered good. If, on the other hand, it produces disharmony, unhappiness, confusion, unhealthfulness, and creates suffering then it’s considered bad. That is the sole test, the effects of the action. We can put this test to being politically correct. If we carefully and mindfully observe the effects of saying “Happy Holidays” rather than “Merry Christmas” or “Happy Hanukkah,” etc. we’ll likely observe a positive response from most people. But, there will be a few people who will be upset and show a negative response. So, for the most part greeting someone with “Happy Holidays” will increase harmony and happiness for the largest proportion of people. But, we can do better if we apply mindfulness to this situation and discern the nature of the individual before making the statement. This requires deep listening; a skill that is generally weak. In a conversation, most people are not really paying close attention to what the other people are saying. Rather, they are thinking about what they will say next and listening for a point where they can jump in and say it. But to discern the nature of the individual, it is necessary that they be listened deeply with full attention. If mindfulness and deep listening reveals that the individual is Christian or Jewish, etc., then a statement of “Merry Christmas” or “Happy Hanukkah,” etc. would be good and increase harmony and happiness. It doesn’t demean your religious preference by recognizing the holiday celebrated by the other. It simply extends a wish for them to enjoy the holiday they celebrate. It would be bad to be stubborn and mindlessly stick to political correctness when it is clear that this would not be appropriate for the individual being greeted. It’s not always easy to correctly judge the individual and lacking a clear discernment it would be best to simply use “Happy Holidays.” In fact, not knowing who will be reading this essay, I’d be best advised to only use “Happy Holidays.” Keep in mind that perfection is not necessary, only that “Right Effort” is applied and the individual tries to do the best they can. This argument applies also to political correctness in general. It requires mindfulness. It requires non-judgmental awareness of the circumstances, exactly who is present, and what are their characteristics. In fact, we do this all the time in social interactions. As a simple example, we discern the gender of the person in order to use the appropriate pronouns in conversation. But the sensitivity of some people to political correctness requires greater sensitivity and discernment than usual. It needs to be kept in mind that conversations are not contests, with winners and losers. The goal is not to convince the other of your point of view, dominate the other, or win the discussion. There isn’t a war on anything. The mindful perspective is that the ultimate purpose is to increase harmony, happiness, wisdom, and well-being, and relieve suffering. Let this simple test guide the conversation, mindfully pay attention looking at the effects of the language being used, and in a very small way make the world a better place. The word gay connotes happy and fun loving. This descriptor of homosexual men as gay, however is inaccurate. In fact, the risk of a mental health condition, like depression, anxiety disorders, or post-traumatic stress disorder, is almost three times as high for youths and adults who identify as gay, It is troubling that suicide is attempted four times more often by gay youth. In addition, gay youth are almost twice as likely as their heterosexual peers to abuse drugs and alcohol. Hence, it is important to develop resources that can reduce mental illness and suicidality in gay men. Mindfulness has been found to be associated with psychological well-being in gay men. It makes sense, then to further explore the ability of mindfulness to improve mental health and reduce suicidality in gay men. In today’s Research News article “Mindfulness and Other Psycho-Social Resources Protective Against Mental Illness and Suicidality Among Gay Men.” (See summary below or view the full text of the study at: https://www.ncbi.nlm.nih.gov/pmc/articles/PMC6095030/ ), Wang and colleagues recruited gay men and had them complete measures of self-efficacy, internalized homophobia, self-acceptance, purpose in life, hedonism, altruism, religion, spirituality, mindfulness, positive affect, life satisfaction, vitality, positive relations with others, mental illness, suicidality, and victimization. These data were analyzed with sophisticated modelling and regression analyses. They found that the higher the levels of mindfulness, the higher the levels of self-efficacy, purpose in life, positive emotions, life satisfaction, vitality, and positive relations with others, and the lower the levels of internalized homophobia, emotional reactivity, and rumination. They also found that gay men with higher levels of mindfulness had lower incidences of mental illness, depression, and suicidality, and less medical/ psychological disability. Hence, dispositional mindfulness appears to be associated with better psychological and mental health including reduced tendency for depression and suicide. These results are encouraging but are correlational, so causation cannot be determined. But other research has shown that mindfulness causes improvements in the mental and physical states of a wide variety of individuals. And there is no reason to believe that this would also not be the case with gay men. Future research should manipulate mindfulness levels with training and assess the impact of the increased mindfulness on the psychological and mental health of the gay men. So, protect against mental illness and suicide in gay men with mindfulness. Background: There is considerable evidence of health disparities among gay men characterized by higher levels of stress and distress. Psycho-social resources have been linked to numerous positive health outcomes and shown to act as buffers in the stress-distress pathway. Methods: With data from the 3rd Geneva Gay Men’s Health Survey carried out in 2011 using time-space sampling (n = 428), a relatively elaborate profile of 14 psycho-social resources—including mindfulness—is presented. Using their original scores, latent class analysis created an index variable dividing the respondents into meaningful groups. Psycho-social resources—the index variable as well as each resource individually—were then compared to two recent outcomes—i.e., serious mental illness in the past 4 weeks and short-term disability in the past 2 weeks—using a series of logistic regression models, controlling for all other psycho-social resources and socio-demographic confounders. To assess their potential role as buffers, a similar series of logistic regression models were erected using victimization and three outcomes—i.e., major depression, suicidal ideation, and suicide attempt—in the past 12 months. Results: According to the latent class analyses, (1) 5.1% of this sample had a low level of psycho-social resources (i.e., one standard deviation (SD) below the group means), (2) 25.2% a medium-low level, (3) 47.4% a medium level (i.e., at the group means), and (4) 22.2% a high level of psycho-social resources (i.e., one SD above the group means). Psycho-social resources appeared to strongly protect against recent mental morbidity and buffer against the impact of victimization on major depression and suicidality in the past 12 months, reducing the adjusted odds ratios below statistical significance. The explained variance and the individual psycho- https://www.huffingtonpost.com/lodro-rinzler/meditation-isnt-enough-a-_b_5672580.htmlConclusions: There may be disparities in several psycho-social resources among gay men, and as strong compensatory and protective factors, they may explain in part the well-established disparities in stress and distress in this population. While multiple psycho-social resources should be promoted in this population, gay men under 25 years should receive particular attention as all three disparities are most pronounced in this age group. “Meditation leads to concentration, concentration leads to understanding, and understanding leads to happiness” – This wonderful quote from the modern-day sage Thich Nhat Hahn is a beautiful pithy description of the benefits of meditation practice. Meditation allows us to view our experience and not put labels on it, not make assumptions about it, not relate it to past experiences, and not project it into the future. Rather meditation lets us experience everything around and within us exactly as it is arising and falling away from moment to moment. 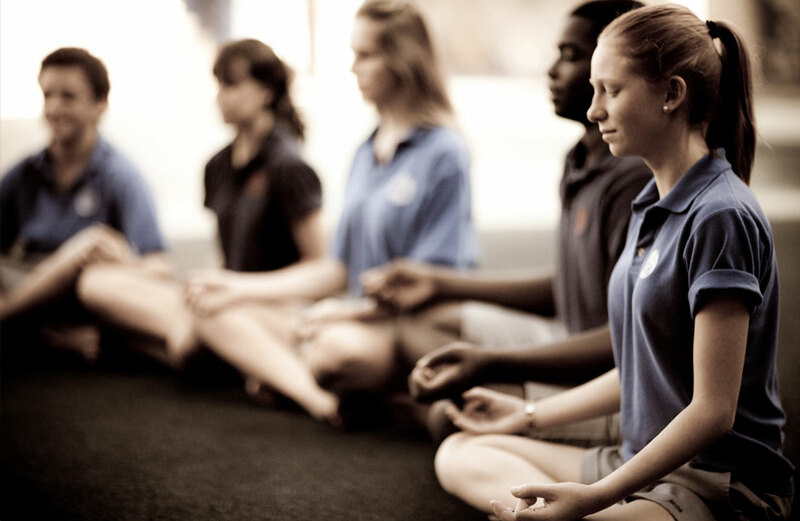 Meditation training has been shown to improve health and well-being. It has also been found to be effective for a large array of medical and psychiatric conditions, either stand-alone or in combination with more traditional therapies. Meditation techniques have common properties of restful attention on the present moment, but there are large differences. These differences are likely to produce different effects on the practitioner. 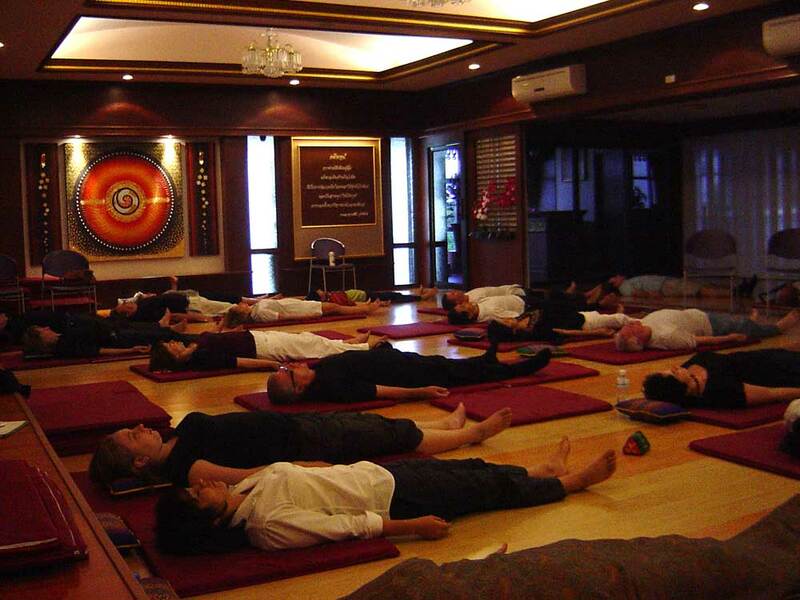 Yoga Nidra is a deep relaxation technique where the practitioner lies on the back in a “corpse pose” and is guided through body scan and imagery into a deeply relaxed state. Meditation involves a more active and concentrated process on the part of the practitioner but also leads to relaxation. It is not known if these two different contemplative techniques have different effects on psychological health. In today’s Research News article “The Impact of Yoga Nidra and Seated Meditation on the Mental Health of College Professors.” (See summary below or view the full text of the study at: https://www.ncbi.nlm.nih.gov/pmc/articles/PMC6134749/ ), Ferreira-Vorkapic and colleagues recruited healthy adults and randomly assigned them to either practice Yoga Nidra of meditation for 3 months, once a week for 45 minutes, or to a wait-list control. They were measured before and after training for anxiety, depression, fear, and perceived stress. 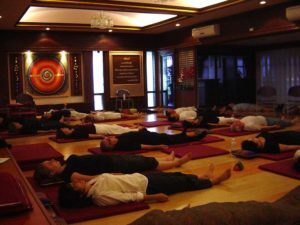 They found that in comparison to baseline and the wait-list control group, the participants who practiced either Yoga Nidra or meditation had significant reductions in anxiety, depression, fear, and perceived stress. There were no significant differences between the contemplative techniques on any of the measure of psychological health. Hence, the techniques would appear to be equally effective in improving the psychological state of the participants. It should be mentioned that since the control condition did not receive any treatment and both treated groups had significant effects, that a subject expectancy (placebo effect), attention, of experimenter bias effects may account for the improvements. 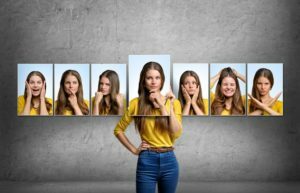 It is also possible that the techniques may produce different effects on variable that were not measured, as only negative mood states were measured and a variety of contemplative techniques have been shown to reduce anxiety, depression, fear, and perceived stress. Regardless, the present study demonstrates that the contemplative techniques of Yoga Nidra and meditation are effective in improving the psychological states of the practitioners. So, improve mental health with Yoga Nidra and meditation. Ferreira-Vorkapic, C., Borba-Pinheiro, C. J., Marchioro, M., & Santana, D. (2018). The Impact of Yoga Nidra and Seated Meditation on the Mental Health of College Professors. International journal of yoga, 11(3), 215-223. World statistics for the prevalence of anxiety and mood disorders shows that a great number of individuals will experience some type of anxiety or mood disorder at some point in their lifetime. Mind–body interventions such as Hatha Yoga and seated meditation have been used as a form of self-help therapy and it is especially useful for challenging occupations such as teachers and professors. In this investigation, we aimed at observing the impact of Yoga Nidra and seated meditation on the anxiety and depression levels of college professors. 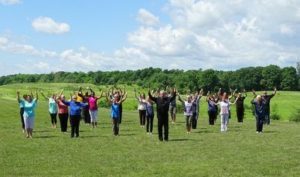 Sixty college professors, men and women, aged between 30 and 55 years were randomly allocated in one of the three experimental groups: Yoga Nidra, seated meditation, and control group. Professors were evaluated two times throughout the 3-month study period. Psychological variables included anxiety, stress, and depression. Data analysis showed that the relaxation group presented better intragroup results in the anxiety levels. Meditation group presented better intragroup results only in the anxiety variable (physical component). Intergroup analysis showed that, except for the depression levels, both intervention groups presented better results than the control group in all other variables. Prepost results indicate that both interventions represent an effective therapeutic approach in reducing anxiety and stress levels. However, there was a tendency toward a greater effectiveness of the Yoga Nidraintervention regarding anxiety, which might represent an effective tool in reducing both cognitive and physiological symptoms of anxiety.